By a narrow vote of four to three, Sackville council has approved the installation of a $7,800 glass and metal barrier around the front desk at the new town hall. Councillors Ron Aiken, Bill Evans and Megan Mitton voted for the security barrier while Andrew Black, Allison Butcher and Bruce Phinney voted against it. 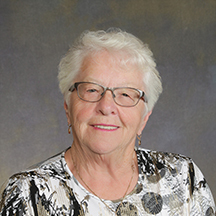 Deputy Mayor Joyce O’Neil broke the tie with her vote in favour. Mayor John Higham and Councillor Michael Tower were absent from Monday’s meeting. Councillor Black said he had received an e-mail from one constituent and heard from others opposing the barrier. He added that the front desk area has been a welcoming space where people can come to talk and even air their grievances. “I think that it’s somewhat of a waste of money as well,” Black said. “If you look at banks in town and other places that have an open counter for people to talk to, yes there are those moments where you have to deal with irate customers or problematic issues, but it would take somebody pretty strong to come in and try to do anything at the front counter when there’s an RCMP office in the basement,” he added. Treasurer Michael Beal said there have been times when front counter staff did not feel safe and the RCMP had recommended installing security windows similar to the ones the police themselves have in their detachment downstairs. Beal explained that staff will be able to open the barrier in two ways. One glass slider will allow them to accept packages. The Nova Scotia firm that will be installing the barrier will also add $2,500 worth of six-millimetre-thick glass to prevent sound from leaking out of CAO Phil Handrahan’s office into a hallway. With the 15 per cent HST added, the total bill for enhanced security will come to $11,845. Councillor Evans said he supported the front desk barrier for one compelling reason. This entry was posted in Town of Sackville and tagged Allison Butcher, Andrew Black, Bill Evans, Bruce Phinney, Joyce O'Neil, Megan Mitton, Michael Beal, Ron Aiken, security. Bookmark the permalink. maybe we should have an officer at the door with metal detectors… lol give me a break what has this town become? I work at a federal penitentiary and we have no such barriers located where the public visitors and offenders are at the main entrance or at 90 plus percent of the places in the institution! I feel that there should be more evidence with actual situations and or occurrences to base this decision on other than just a feeling of being unsafe! That being said maybe like most work places the town mayor should implement that there are always 2 people on site at all times which would be a lot cheaper than installing a barrier! Such a waste of money. Find more ways to bring money into this town instead of spending it!! What a stale group of councillors. Do something other than SPEND.